Automatic speaker verification systems have achieved great performance and been widely adopted in many security applications. One of the important requirements for the verification system is its resilience to spoofing attacks, such as impersonation, replay, speech synthesis and voice conversion. Among these attacks, speech synthesis has a high risk to the verification systems. 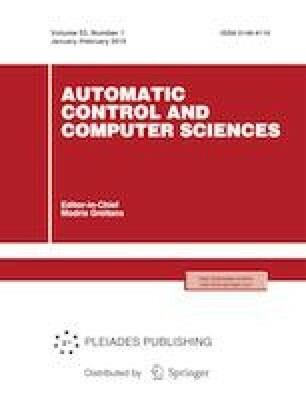 In this paper, a novel detection method for computer-generated speech, especially for HMM synthetic speech, is proposed. It is found that the wavelet coefficients in specified position show the obvious difference between the synthetic and natural speech. The logarithmic spectrum features are extracted from the wavelet coefficients and support vector machine is used as the classifier to evaluate the performance of our proposed algorithm. The experimental results over SAS corpus show that the proposed algorithm can achieve high detection accuracy and low equal error rate. This work was supported by the National Natural Science Foundation of China (grant nos. 61300055, U1736215, 61672302), Zhejiang Natural Science Foundation (grant nos. LY17F020010, LZ15F020002), Ningbo Natural Science Foundation (grant no. 2017A610123), Ningbo University Fund (grant no. XKXL1503) and K.C. Wong Magna Fund in Ningbo University.